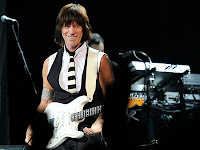 White Chocolate Bunny Ears: I heart Jeff Beck. I love Jeff Beck. Renowned since the 1960’s for his paint-peeling lead guitar work, combined with his tough guy stance, and avocation as a hot rod enthusiast, his image is ripe for rock star parody. 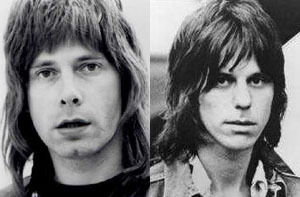 In fact, the characterization of Nigel Tufnel in This Is Spinal Tap owes at least some of its inspiration to Beck. But I believe his legacy will endure as a player in possession of one of the most refined senses of nuance and sensitivity. Since his 1975 album, Blow By Blow, Beck has populated his albums with slow ballads that demonstrate a level of taste that is almost indescribable.